Nobody knows the DIY tools market better than Ryobi® and RIDGID®. Both tool brands aim solidly for the do it yourself and the entry-level contractor power tool market. But what's the reasoning behind Ryobi and RIDGID making and heavily promoting certain power tools? What does this mean for tools in the next few years? To that end, I spoke with Jason Swanson, Director of Communications, Power Tool Division, at Techtronic Industries North America, Inc. TTI is a heavy-hitter in the home improvement arena, owning brands such as Milwaukee, Ryobi, RIDGID, Homelite, and AEG. 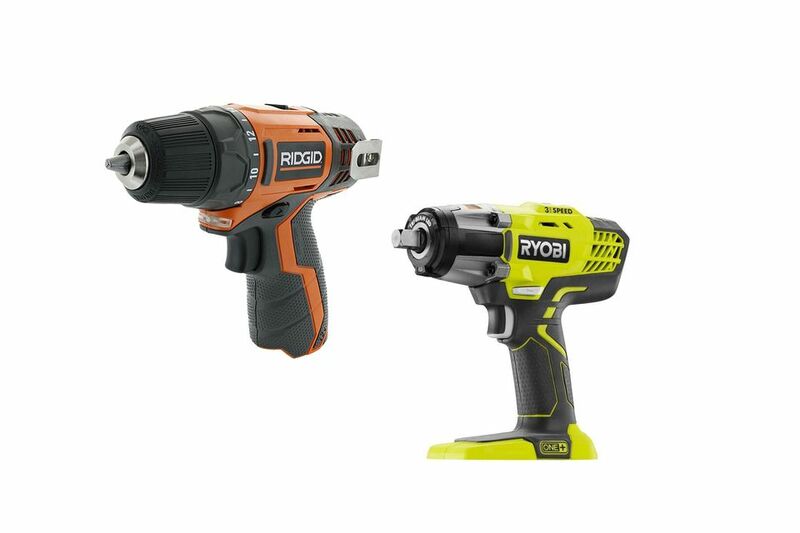 We concentrated on the Ryobi and RIDGID brands since they are best suited to homeowner/DIY consumers--both price- and function-wise. If you've ever bought an inexpensive shop vacuum or table saw, it might be orange. That's right--the RIDGID name is licensed by none other than The Home Depot. I have always imagined some kind of giant Ryobi-tool-making machine--raw materials at one end, finished tools spewing out the other end. Hardly. Jason related seeing scores of workers at the Ryobi factory assembling the tools--all by hand. The centerpiece of any cordless power tool is the battery. Swanson, who has been in this business since 1995, talked about seeing batteries gradually increase in power, a decrease in size. The standard now is 18V. It was a watershed moment for tool manufacturers because 18V cells can finally power a far greater array of tools, not just drills and screwdrivers. Thank the 18V lithium ion cells for tools such as the cordless reciprocating saw and cordless circular saw. While not an 18V cell, Ryobi's TEK4 (4 volts, get it?) lithium ion cell equals the lifespan of 6,000 AA batteries. Imagine the size of a mound of 6,000 AA batteries in your landfill. Better yet, imagine 6,000 batteries in your backyard. TEK4 isn't so much about drilling, pounding, and cutting, as it is about higher tech home remodeling-related tools: inspection scope, laser level, laser distance measure, and the like (it should be added that there is a TEK4 Compact Drill/Driver). Two of the most unexpected items from Ryobi are the Wood Door Lock Installation Kit and the Hands-Free Kit (a Velcro cuff around your wrist that allows for one-handed change outs of drill/driver heads). The Wood Door Lock Kit, Jason tells me, was the brainchild of one engineer who simply saw a need for this. The Hands-Free cuff--well, why not? Drill your new wood door wrong, and you're out a couple hundred bucks minimum. So, the small cost for the Door Lock Kit does seem justified, even if you're only dealing with one or two doors. Seems that Ryobi is now pushing out over 1,000 of these lock kits per week. RIDGID: Free Batteries for Life? You Must Be Joking. Lifetime Service Agreement (LSA)--don't let your eyes glaze over. Mine tend to. I'm the worst when it comes to registering products. But when Jason mentioned that, as part of RIDGID's LSA, original owners could expect free replacement batteries for the life of the product, I exclaimed, "No way, you're kidding!" in true Magic Bullet infomercial fashion. When Jason insisted this was true, I muttered that I would check up on it. Reading the fine print, this does appear to be true. You will need to submit a copy of the original receipt and the original UPCs from the package. Threw them out already? Uh oh. Smaller, more powerful cells (no kidding!). Very niche-y tools (how about a fiber-cement siding saw?). Tools that were once the sole domain of pros now being found in DIY workshops (try wet tile saws). A multiplicity of accessories, and not necessarily accessories that support power tools (radios, lights, etc. ).